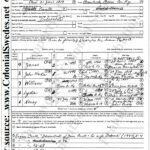 This heavily watermarked package includes all Peter Craig’s annotated family group sheets for ancestors of Peter Jones and Jane Eavins. It is about 100 pages long. A complete version is available for $99. 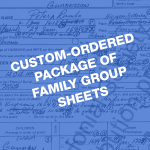 This package includes all Peter Craig’s annotated family group sheets for Peter Jones and his ancestors. 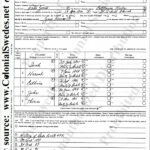 It is about 462 pages long and contains sheets relating to Peter Jones (1777-) m. Jane Eavins; his parents Peter Jones (1749-1809) m. Catharine Kerlin (1756-1844), his grandparents Peter Jones (~1715-1773) m. Ruth Henton (-after 1772) and John Kerlin m. Elizabeth Hall, his great-grandfather Peter Jones (1693-1739) m. Elizabeth (-1771), his great-great-grandparents, Måns Jones (1663-1727) m. Ingabor Lycon (-after 1727), his 3rd great grandparents Jonas Nilsson (1620-1693) m. Yertrue (Gertrude) Svensdotter (-after 1691) and Peter Nilsson Lycon (-after 1693) m. ? 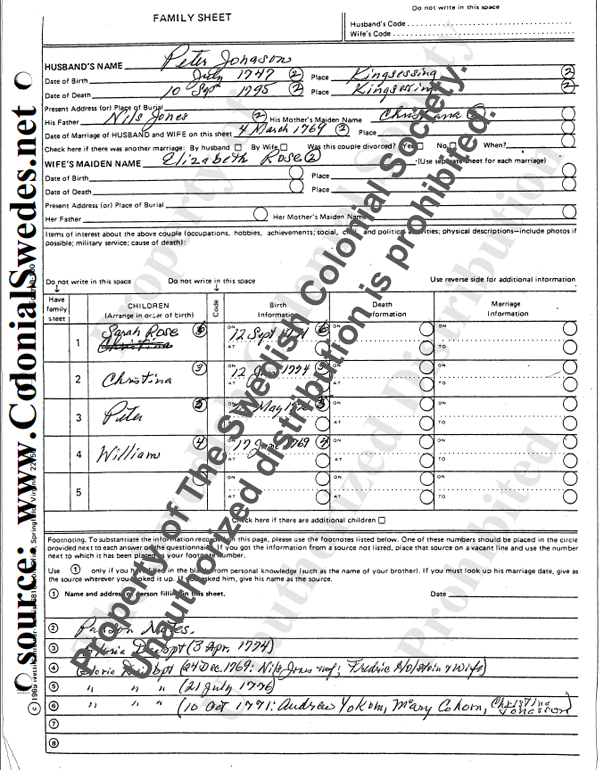 ; and 4th great grandfathers Sven Gunnarsson and Nils Anderson. SKU: PJ-FREE. 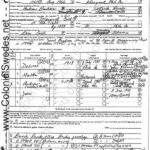 Category: SCS Family Sheets.